The classic story about searching for somewhere to belong, from four-time Caldecott honor winner Leo Lionni. 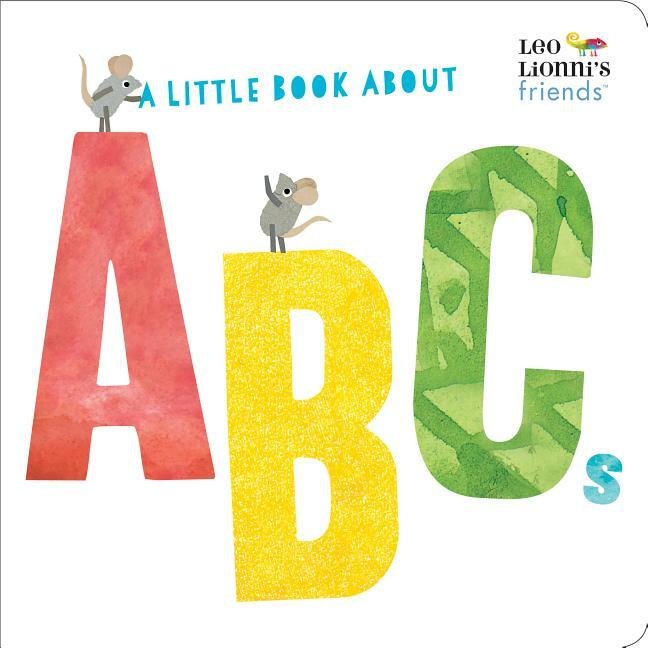 A new board book for the youngest fans of Leo Lionni--inspired by his bestselling books and perfect for baby showers and anyone looking for an alphabet book to help teach the little ones in their lives the ABCs! 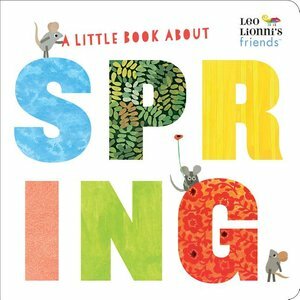 A new board book for the youngest fans of Leo Lionni--inspired by his bestselling books and perfect for baby showers and springtime reading! Everyone loves Willy the wind-up mouse, while Alexander the real mouse is chased away with brooms and mousetraps. Wouldn't it be wonderful to be loved and cuddled, thinks Alexander, and he wishes he could be a wind-up mouse too. 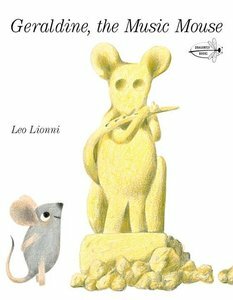 In this gentle fable about a real mouse and a mechanical mouse, Leo Lionni explores the magic of friendship. 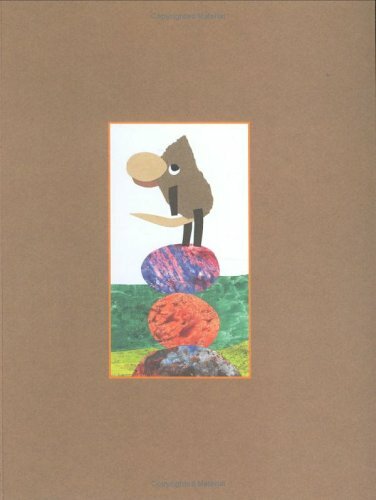 Originally published in 1969, the Caldecott Honor-winning Alexander and the Wind-up Mouse is sure to enchant a whole new generation of readers. Leo Lionni's playful mice present the three most basic early-learning concepts in one irresistible board book. 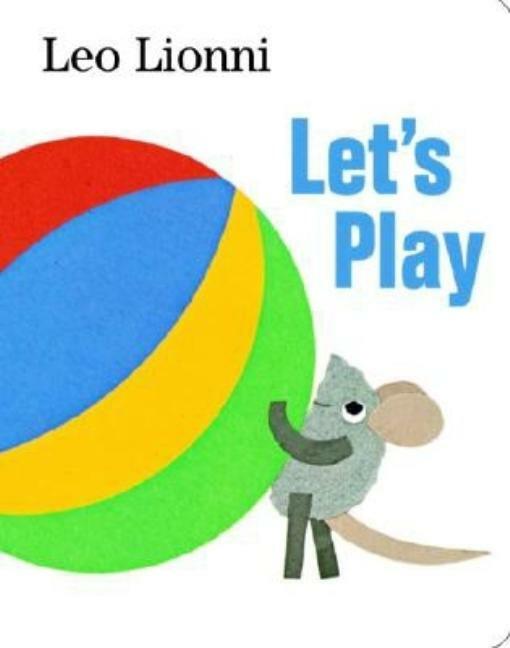 Cheerful collage mice prance across the pages as they identify the colors of the rainbow. They make math fun by counting each other. And they're up to their best tricks as they cavort, juggle and play hide-and-seek with the 26 letters of the alphabet. With its rounded corners and non-toxic ink, Colors, Numbers, Letters can be enjoyed by the very youngest of "readers." It's brimful of fun things for parents to point out and talk about with their baby or toddler, and makes an inexpensive, yet beautiful and thoughtful gift for baby showers. will enjoy." --(starred) "School Library Journal. 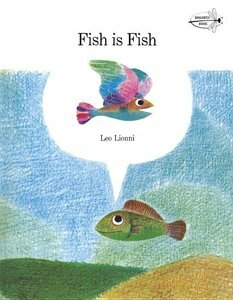 Leo Lionni's spirited story about a minnow and a tadpole is now available as a Step 3 Step into Reading book--perfect for children who are ready to read on their own! 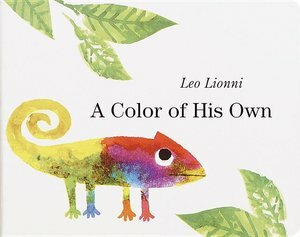 Four of Caldecott-winner Leo Lionni's most beloved tales, together in one book with an introduction from Eric Carle! 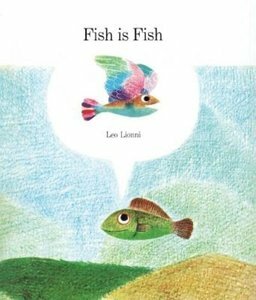 Here in one sumptuous collection are four timeless picture book classics by Leo Lionni: Frederick, Swimmy, Alexander and the Wind-Up Mouse, and Fish Is Fish. 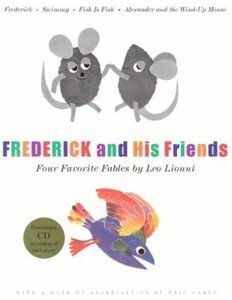 In this volume, meet Frederick, the poet field mouse whose happy memories help his family endure through the darkest days of winter; Swimmy, the imaginative minnow who uses his small size in a big way; Alexander, the mouse who learns the magic of friendship; and a fish who discovers that life in a small pond isn't so bad after all. Lionni's complete texts and illustrations are included along with an introduction from Eric Carle and a CD reading in this elegant, inviting gift edition. The cheerful celebration of art, music, and cheese from beloved four-time Caldecott Honor-winner Leo Lionni. This was the first of four Caldecott Honor Books by Leo Lionni. 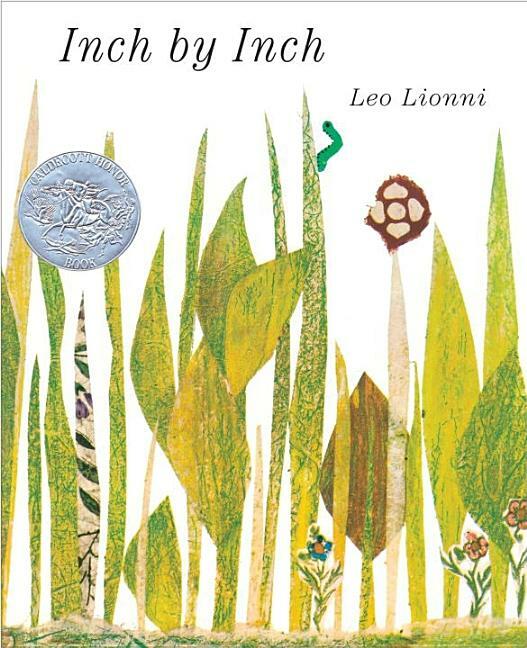 Published in 1960 and virtually out of print in hardcover for decades, Knopf acquired the hardcover rights from the original publisher just in time to showcase Lionni's 100th anniversary celebration in 2010 and the book's 50th anniversary. The bold graphics and beautiful cutout paper collages of colorful birds, foliage, and the clever green inch worm are as fresh and appealing as ever, and should appeal to a whole new audience in this accessible board book format. 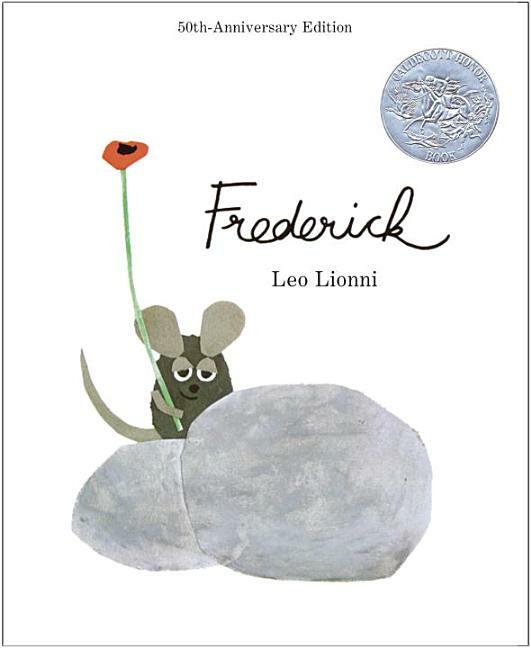 The Caldecott Honor winning classic about a brave and clever little worm from beloved picture book creator Leo Lionni. 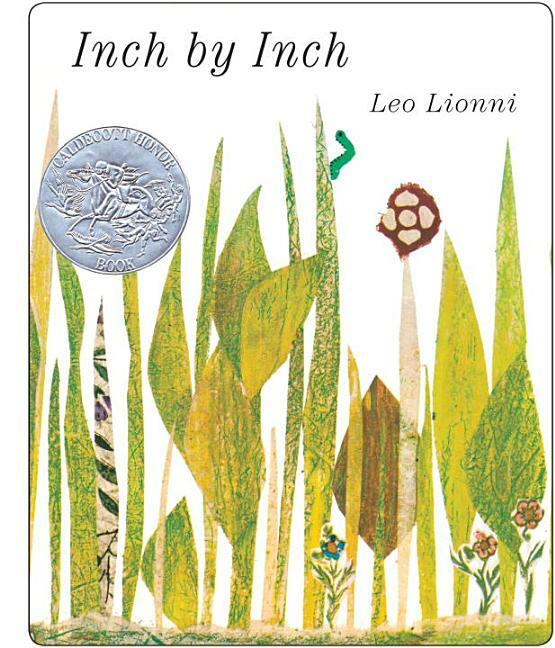 Every inch the classic, this was the first of Lionni's books to win the Caldecott Honor. and language, is a fine choice for story hours." -- "School Library Journal." From the exhibition Leo Lionni: A Passion for Creativity, July 12, 2003 - October 19, 2003. 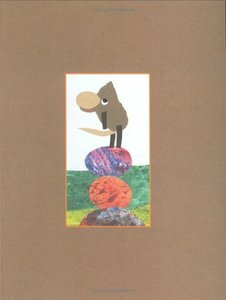 "An Appreciation" by Eric Carle. 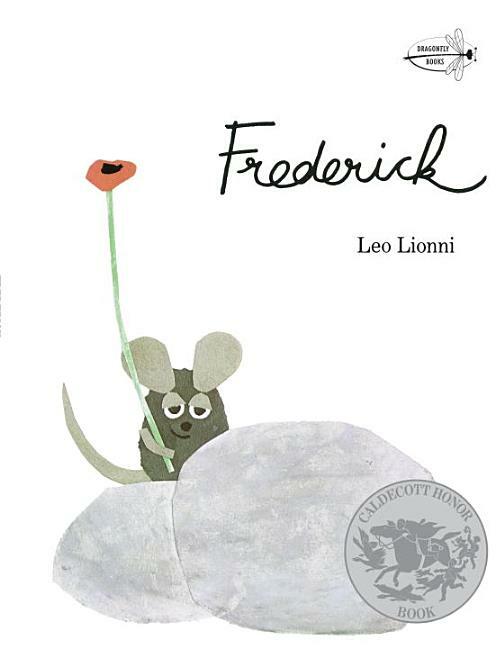 "Remembering Leo Lionni" by Frances Foster. 32 Illustrations, Paper, 32 pages. "Among my first decisions as director was to pursue an exhibition of Leo Lionni's work. 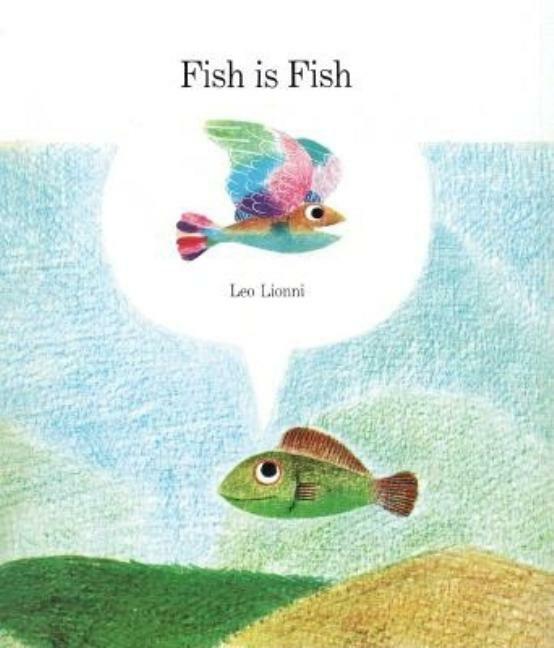 This was before I understood how much Lionni meant to Eric Carle. I had long been captivated by the elegant design, magical draftsmanship, and universal messages of his children's books. Happily, we are able to offer a glimpse into his other equally distinguished creative outlets: his drawing and sculpture. From art director for Fortune magazine to exhibiting with Surrealists such as Joan Mir and André Masson, Lionni achieved the pinnacle of whatever he pursued." July 12, 2003-October 19, 2003. "An Appreciation", by Eric Carle. "Remembering Leo Lionni", by Frances Foster. "Among my first decisions as director was to pursue an exhibition of Leo Lionni's work. 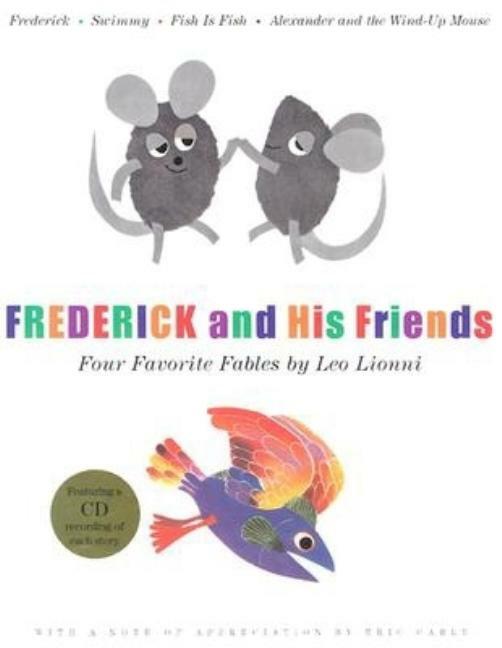 This was before I understood how much Lionni meant to Eric Carle. 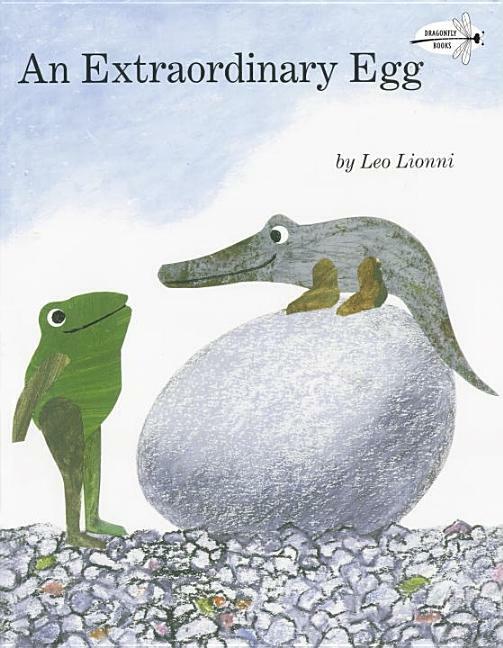 I had long been captivated by the elegant design, magical draftsmanship, and universal messages of his children's books. Happily, we are able to offer a glimpse into his other equally distinguished creative outlets: his drawing and sculpture. From art director for Fortune magazine to exhibiting with Surrealists such as Joan Miro and André Masson, Lionni achieved the pinnacle of whatever he pursued." From Caledcott Honor winner Leo Lionni, this is the perfect "tail" for bunny fans everywhere! 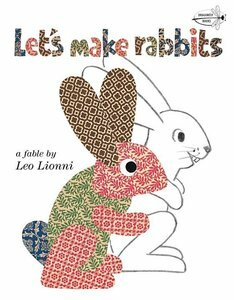 A tale of two rabbits that celebrates creativity and crafting, from four-time Caldecott Honor winner Leo Lionni. 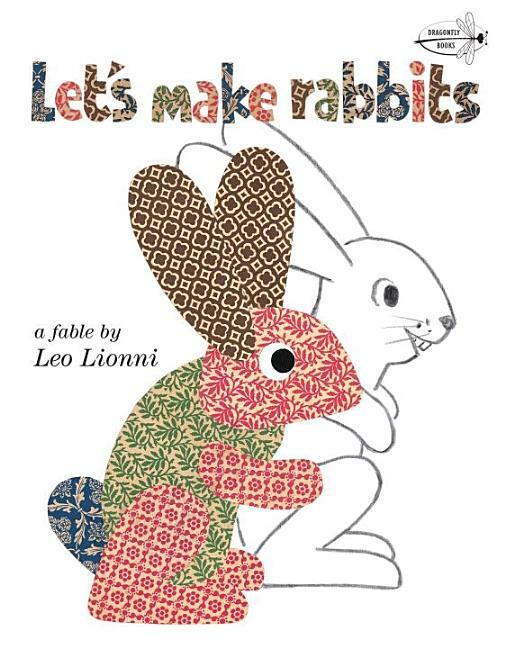 "Let's, make rabbits," say the scissors to the pencil, and, before the reader's eyes, two rabbits appear--one drawn by the pencil, the other cut from brightly patterned paper by the scissors. When the rabbits are hungry, the scissors and the pencil provide paper carrots. But one day the taste of a real carrot leads to a magical surprise. Readers will delight in this imaginative tale from four-time Caldecott Honor Winner Leo Lionni. 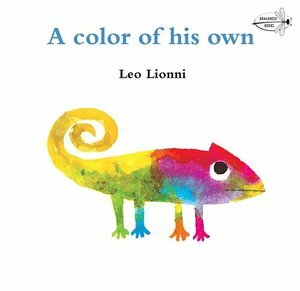 A playful board book from four-time Caldecott Honor-winner Leo Lionni book for the very youngest readers! "What shall we do today?" two mice ask each other. "Read a book? Pick flowers? Go swimming? Play ball? Climb a tree or gather leaves? Play hide-and-seek or dress-up? Talk on the telephone-until it's time to say good night?" 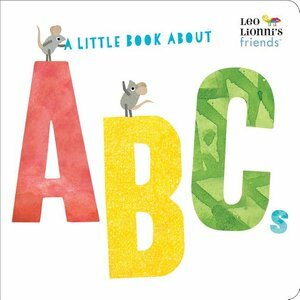 Lionni's award-winning graphic art is at its best in this very simple board book that begs to be shared with a baby or toddler. 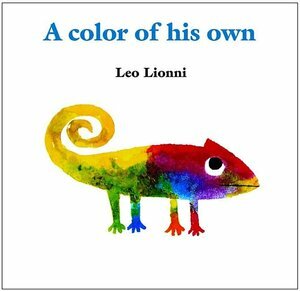 Leo Lionni's first picture book has at last found its perfect format in this sturdy board book for the very youngest child. 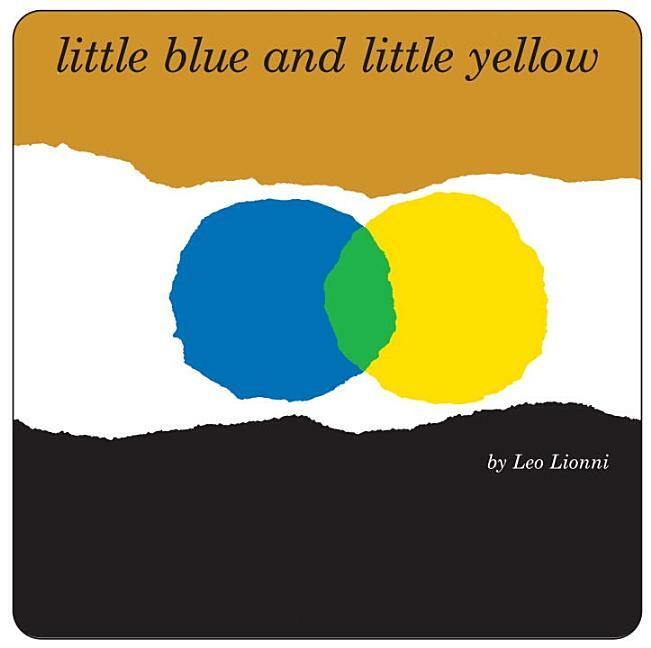 Little Blue and Little Yellow are best friends, but one day they can't find each other. When they finally do, they give each other such a big hug that they turn green! How they find their true colors again concludes a wonderfully satisfying story told with colorful pieces of torn paper and very few words. This classic tale of friendship also offers a playful introduction to color concepts.